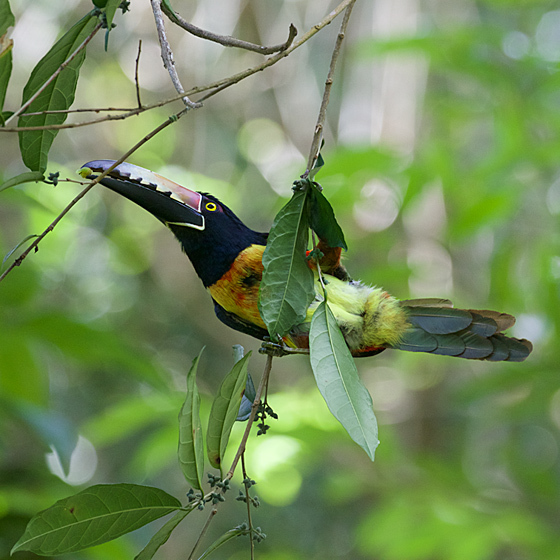 Hanging from a vine like a trapeze gymnast, a Collared Aracari twists around and with its oversized bill delicately plucks a fruit. I was looking forward to seeing the aracari in Honduras, somehow expecting it to be huge. But it is pretty slender, its body weighing only half as much as a crow. And that's mostly bill and tail. For a bird whose upper mandible is shaped like some weird kind of wire-stripping tool, this bird is graceful. The sight of it makes me hear music, maybe a minuet, danced by people in Elizabethan costumes. Second Edition. Compact, portable, and user friendly. 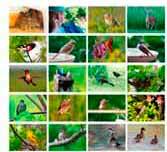 Includes all 903 bird species of Costa Rica, with many in-flight views. 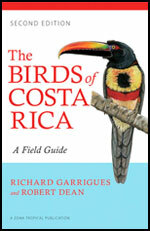 This field guide is essential Costa Rica and also often indispensable for other Central American countries.